A scale is one of the very thin plates that form the covering of fish or lizards, or any thin and flat thing that peels off any surface. As an uncountable noun, scale can be a coating that builds up on the inside of something, like a kettle or boiler, due to salts in the water. As a verb, to scale means ‘to remove the scales from something,’ usually a fish. A scale is also one of the pans or dishes of a weighing device or, mainly in the US, the weighing device itself. In the UK, people usually refer to the weighing device in the plural, as scales or a pair of scales. The fish's scales glistened in the sun as it leaped out of the water. The man's skin was flaking off in scales. There's a lot of scale in this kettle. The cook scaled the fish before cooking it. The storekeeper put the apples on one scale and the weights on the other. Sabina got the scales out to weigh the flour for her bread. A scale can also be a graduated series of anything, like a salary scale or a price scale, for example. It can also the proportion that a representation of something bears to the thing itself, so a model might be on a scale of one centimeter to one meter or a map might be on a scale of one centimeter to one kilometer. If you say something is to scale, that means it is in proportionate ratio to what it represents. Because of this, you can also use scale to mean ‘a relative degree or extent,’ so, for example, you might say “Government spending on infrastructure has reached a scale that hasn’t been seen for decades.” Related to these meanings, if you scale something up or down it means that you increase or decrease it in size or amount. Scale, meaning the thin plates that cover the skin of fish and some reptiles, dates back to the late 13th century. It came into English from the Middle French escale, meaning ‘scale, shell pod or husk,’ though it probably originated in the Frankish skala or another West Germanic source. It can be traced back to the Proto-Germanic skælo (split or divide) and the Proto-Indo-European skel– (to cut). It is related to the Dutch schaal (a scale or husk), the Old High German scala (shell), the Gothic skalja (tile), the Old English scealu (shell or husk), and the English word shell. The verb, meaning ‘to remove the scales of a fish,’ comes from the noun, and dates back to the late 14th century. The meaning ‘to come off in scales’ is from the early 16th century. 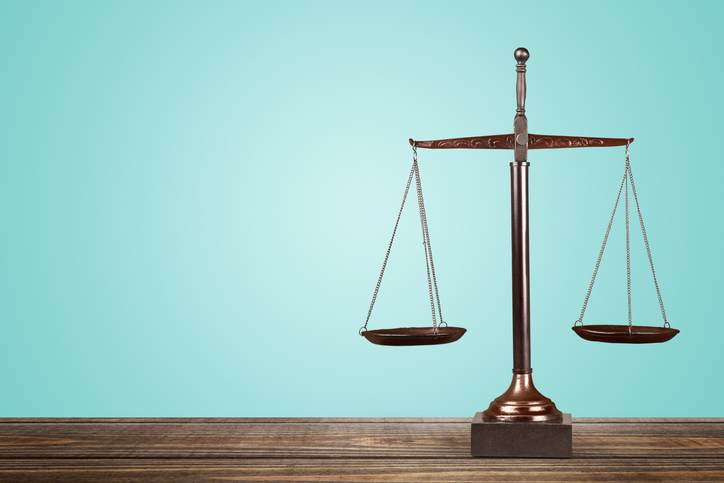 Scale, as a noun meaning ‘the pan of a balance,’ dates back to the late 12th century, though it originally meant ‘drinking cup,’ and only came to mean the plates of a balance around the year 1400. It has been used to mean ‘weighing instrument’ since the late 15th century. It came into English from the Old Norse skāl, meaning ‘bowl or drinking cup;’ the plural, skālar, meant ‘weighing scale.’ Like the previous meaning of scale, it can be traced back to the Proto-Germanic skælo and the Proto-Indo-European skel-. The verb meaning ‘to weigh in scales’ dates back to the late 17th century, and comes from the noun. Finally, scale, as a noun meaning ‘a series or marks to measure by,’ dates back to the late 14th century. It can be traced back to the Latin scala, meaning ‘ladder or staircase.’ The musical sense dates back to the late 16th century, while the meaning ‘proportion of a representation to the actual object’ is from the mid-17th century. The related verb also dates back to the late 14th century, and probably came into English from the Latin around the same time.